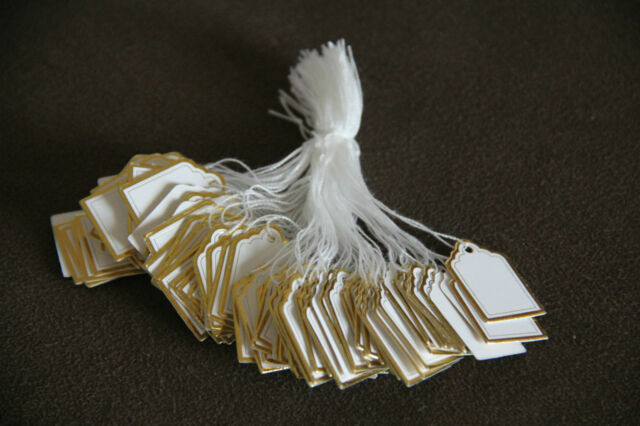 Price tag price card with cotton tie, silver border; Display price for your jewellery, watch, small item; Tag size: appro. 1.5x2cm, cotton tie length 8cm. The colour shown in the photos may be slightly varied from the actual colour due to the lighting and colour deviation of monitors. Colour: White with golden border. Material: Paperboard with cotton tie.